Thank you to those of you who read my post yesterday, and well done to those of you who spotted the mistake! It was a Rhino on the card not an elephant! I will be sending the card to the person who spotted the blunder ha! 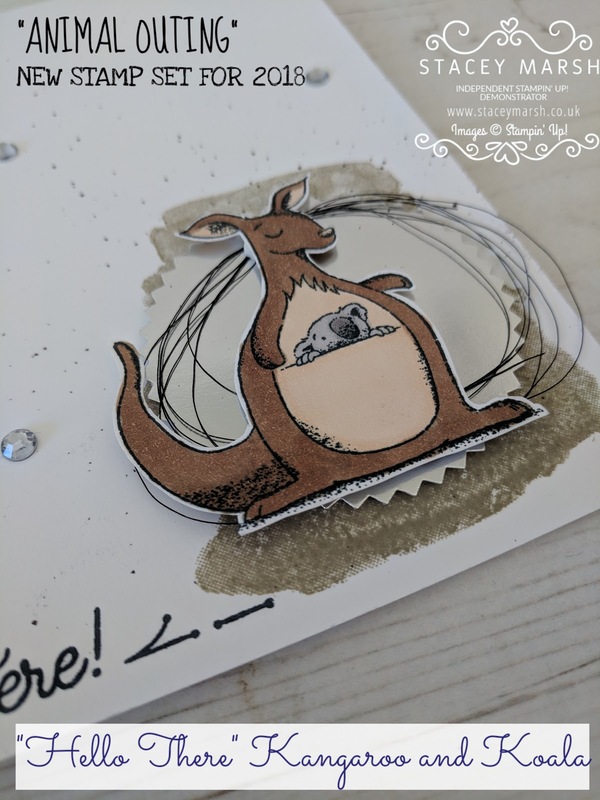 My final card today in this product showcase and it is using the cute Kangaroo image from the **NEW Animal Outing Stamp Set**. I think this one is great for a new baby card because of the adorable little Koala that the Kangaroo is carrying in her pouch! This card I would say is a typical "me" style of card. 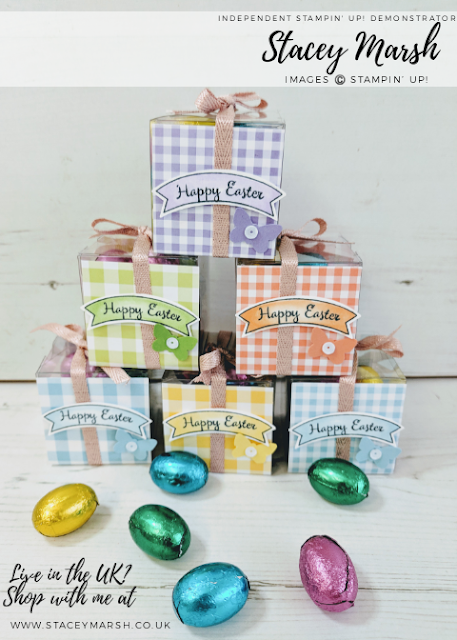 Not too much fuss and lots of white space! 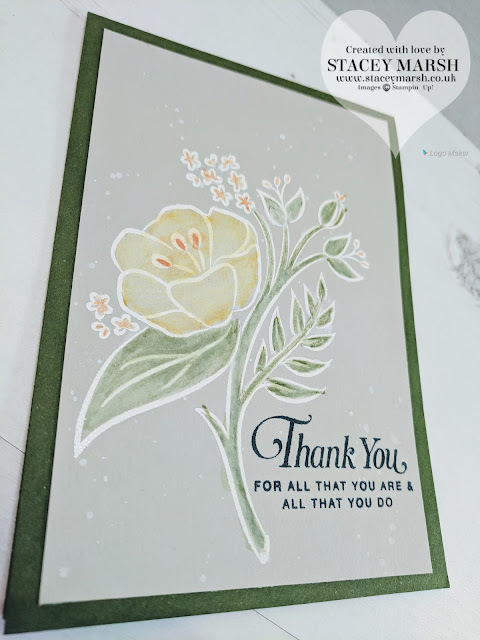 I have used Thick Whisper White Cardstock for the cardbase. Usual Whisper White is absoloutely fine but I find the thick works much better for card bases. I have stamped the sentiment "Hello There" using Tuxedo Black Memento Ink in the bottom corner. 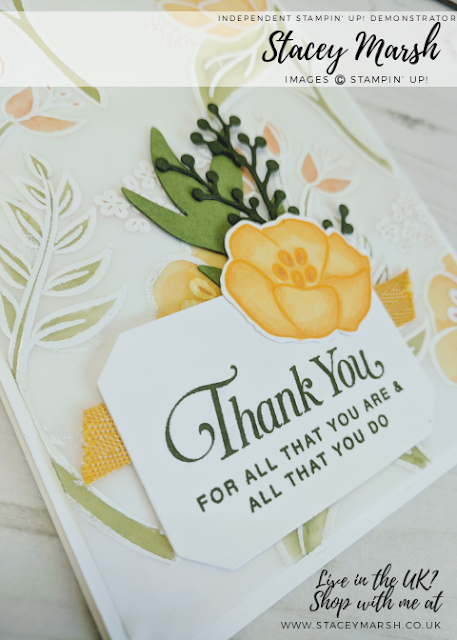 This sentiment comes from the **NEW Around The Corner Stamp Set** which is another freebie from the annual catalogue launch for demonstrators. 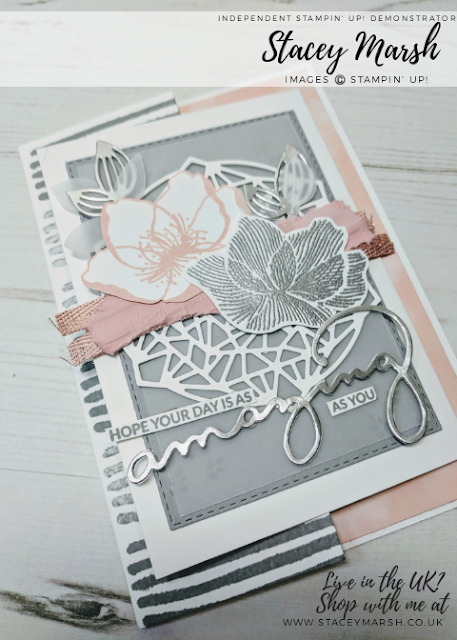 In the **NEW Love What You Do Stamp Set**, there is this lovely background stamp that is a great size for this style of card. I have stamped it in Crumb Cake ink straight onto the cardbase for this one. 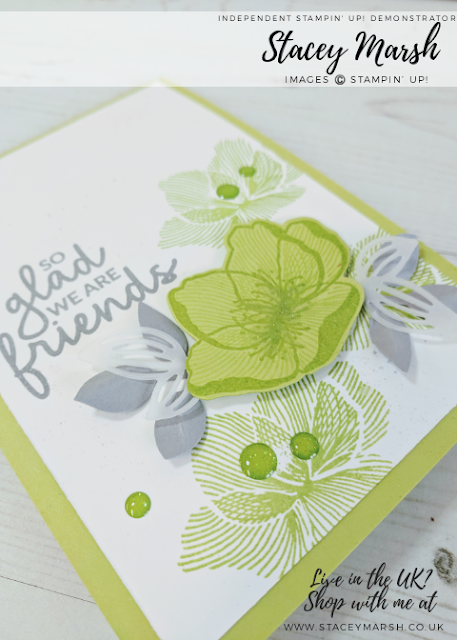 Using an Early Espresso Classic Stampin' Pad and an Aqua Painter, I have splashed some ink onto the cardbase. This is a great technique for breaking up the white space. 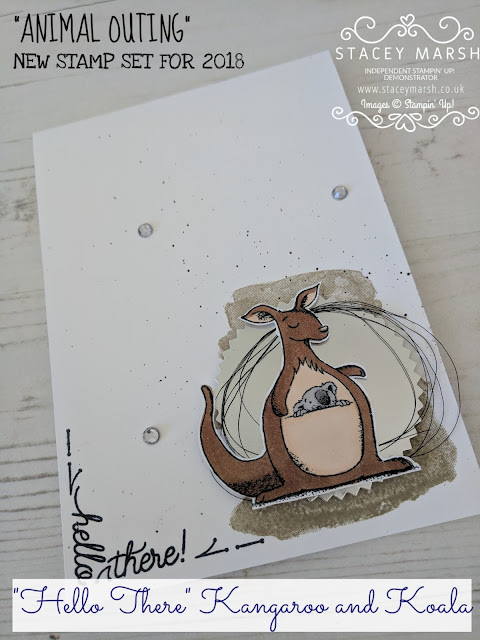 I have stamped the Kangaroo image onto regular Whisper White cardstock, coloured in using Stampin' Blends Alcohol Markers and cut out. There are matching Framelits for this stamp set however I haven't yet purchased them as this was a FREE set demonstrators were given at the catalogue launch event in April. 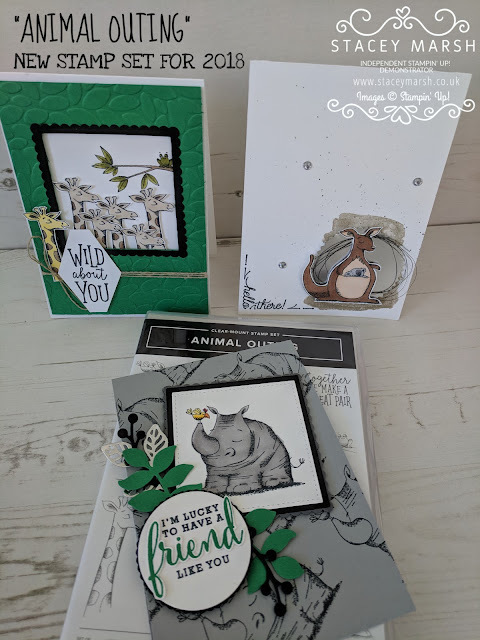 Underneath the kangaroo, I have attached a Starburst Punched shape that has been cut from a Silver Foil Sheet and attached with Stampin' Dimensionals. Between the Starburst shape and the Kangaroo I have added some Black Metallic Thread (retired) for a bit of texture. To finish, I have added a few Rhinestone Basic Jewels in the background. 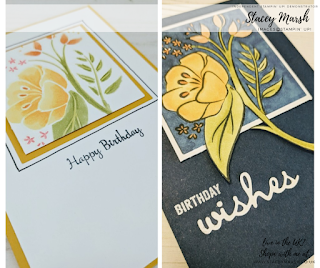 Here are the 3 cards side by side....so many more options though and I can't wait to see samples of this across Pinterest as I'm sure it will be a popular set!